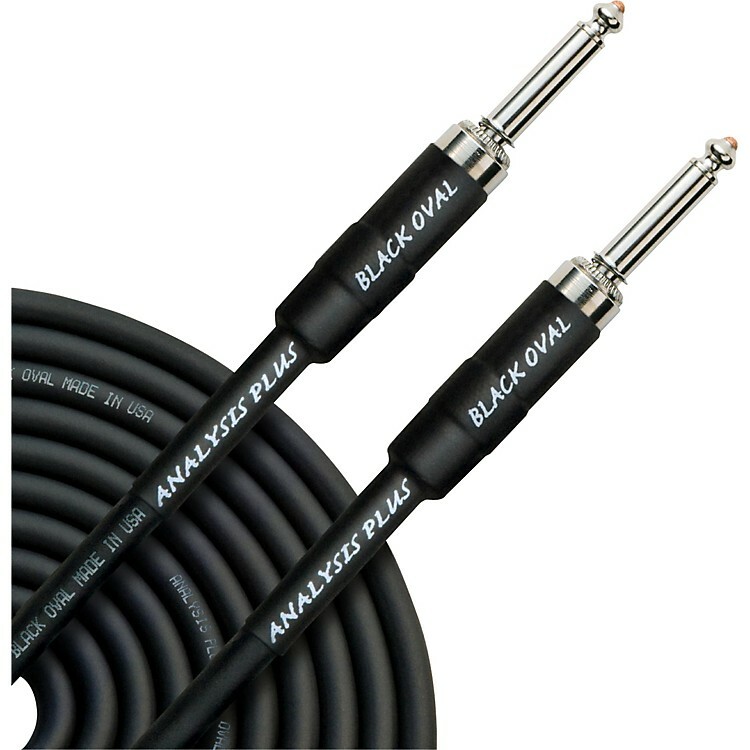 Analysis Plus Black Oval Instrument Cable Silent 1/4" Straight 15 ft.
Get less noise when unplugging from your amp thanks to this cable's "silent" connectors. This Analysis Plus' Black Oval instrument cable has silent 1/4" plugs (straight) that enable you to switch instruments without running to the amplifier and turning down the volume. The silent plug is a special version 2-pole plug (mono plug) with an integrated switch which automatically mutes (shorts) a guitar cable to avoid annoying pops and squeals when hot swapping guitars. The unique design, with its spring-loaded ground sleeve, creates a more reliable switching plug than others on the market, with a 1/2-inch profile that fits your guitar.